Clients can now avail of increased customization and can create their own annoucements using the Document Management module. 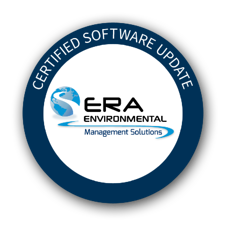 An improved process can been applied, allowing for easier edits of archived emission factors. A new feature has been implemented that applies an alternate name functionality and UI in the application, allowing for all existing Tanker Alternate IDs to have equivalent Tank Group Alternate IDs. On the Inspection set-up page, in the equipment / locations section, a new feature has been implemented that gives the user the option of selecting a step and assigning the equipment / location to that step. Clients are now able to control the fields they would like to see in Section 14 of an SDS (Transportation Section), allowing for filtering by UN number for example. This also allows for the association of a particular template to a product, carrying over the UN number in the production process. New Product Category - New Column in the SDS Viewer Grid: This facilitates the user in finding all products that are part of a specific category, which will be useful for SDS grouping. Addition to Default Label Reports: GHS Labels (2" x 4") for secondary workplace labels, useful for transferring to secondary containers. The small format of this label type makes it ideal for small containers / bottles. New Copy Value Relationship - Job Experience: When user choose 'Employee' from 'Employee Datatype', a new copy value relationship has been made to autofill an ERA list datatype with number of years in job. New Answer Datatype - Document List Summary: Document List Summary withholds all attachments in the BP. New Copy Value Relationship - Filter Service Companies Per Facilities: Only service companies assigned to that facility with when the BP is being filled out. Date Time Datatype Modification: When user double clicks data choice (in datatype) this serves as their choice in date, so user does not have to click 'OK'. New Development in Process Editing: When editing a process, there is now a pop-up which appears, asking client if they wish to edit the current form, or another form in the template.